"What a great way to end the season with a 1-2 qualifying session. I'm really proud of everyone at Mercedes, I couldn't have done this without the support and I'm really proud to be a part of the team. If you look at the team's performance on a race weekend this year - our mechanics, our engineers, our strategists - we've all raised our game and we continue to elevate ourselves as a team which is really inspiring to me; it encourages me to go out there and not let them down. The qualifying session today was great, it was a lot of fun. It went quite smoothly, the team did a really good job in getting the car into the right window. It's always difficult to improve on your last lap, particularly when your first lap in Q3 is pretty good, but I managed to increase the gap. It's still a long race tomorrow, there's a lot of work to do, but I'm really happy with today. I want to finish the season on a solid high, so that I can use that foundation to start strong next year." "A great performance from the team - it's impressive to see that even though we've secured the constructors' title in Brazil, everyone is still performing on a really high level, everyone's still happy to be here and really motivated. I was hoping for pole today, but I think Lewis did another exceptional qualifying and I didn't quite find enough time in Q3. I knew that there was room for improvement left after my first run in Q3 and both Lewis and I found some time, but he just managed to get a more complete lap together. However, I'm happy that I got a decent lap in Q3 and that we were able to secure a well-earned front row lockout for the team. Our pace looked good, but it is extremely close with Ferrari and Red Bull, so we'll have to wait and see what happens in the race tomorrow. There are always opportunities in the race to get ahead, so I will be waiting for my chance and hopefully come in first." "This weekend has been a special challenge: we are not here for championship points, the negative pressure is off and it's all about the enjoyment of racing. So to take the front row with Lewis and Valtteri is really special; this is a good Saturday for us. Both Lewis and Valtteri produced great laps at the end of Q3 to put some clean air between us and the Ferraris; and we have the positive of starting on the UltraSoft tyre for the first stint tomorrow as well. We know that we will need a good start, a strong first lap - and even after that, it will be a long race and very demanding on the tyres. We have managed to keep the energy levels high in the team and now we want to finish this fantastic season on another positive note. It's also been a really great day for George Russell - well done George, congratulations on a well-deserved F2 championship." "We'd gone into the day hoping to be able to start on the UltraSoft tyre and hoping for the front row so naturally we're delighted with the way that qualifying went. We had quite a few changes to the cars overnight and looking at our pace in the practice session today, we seemed to have moved in the right direction. We were certainly happier on the hot track than we had been on Friday. We were surprised by the pace on the UltraSoft in the second part of qualfiying. We'd thought it would be really tight to go through but as it happened, Lewis had nearly 1.3 seconds in hand so the car is clearly working nicely on that tyre and hopefully that will carry into the first stint tomorrow. The HyperSoft is a bit trickier, even though the track is quite cool in the evening sessions it is still difficult to get the tyre to last the lap without overheating in the final sector. Both drivers did good laps in the final session and it was great to see Valtteri get back onto the front row on his final run and Lewis take another brilliant pole position. We know that we've still got a lot of work to do to win tomorrow and that Red Bull and Ferrari will be doing everything they can to take it from us, but we will keep pushing until the last lap of the season and hopefully finish the year in style. I also want to say congratulations to George Russell for his F2 title - well done, George!" Lewis Hamilton, Mercedes AMG F1 and Sebastian Vettel, Ferrari celebrate in Parc Ferme at Formula One World Championship, Rd21, Abu Dhabi Grand Prix, Qualifying, Yas Marina Circuit, Abu Dhabi, UAE, Saturday 24 November 2018. Close but no cigar. 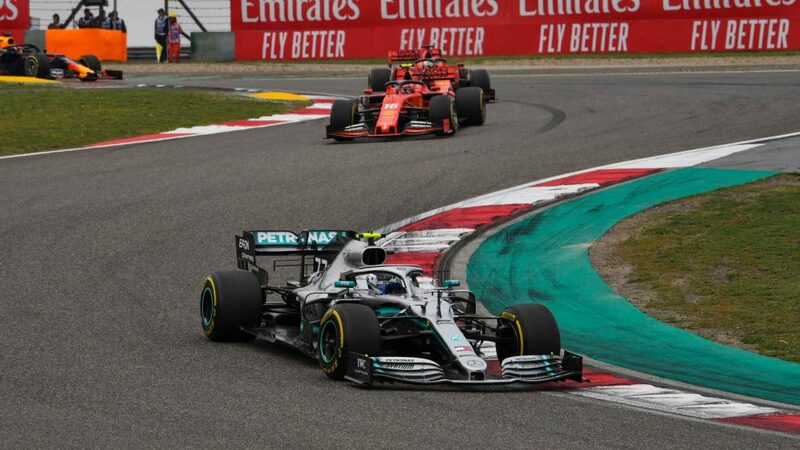 Ferrari upped their game overnight to dispose of Red Bull as nearest challengers but didn’t have an answer to the might of Mercedes. 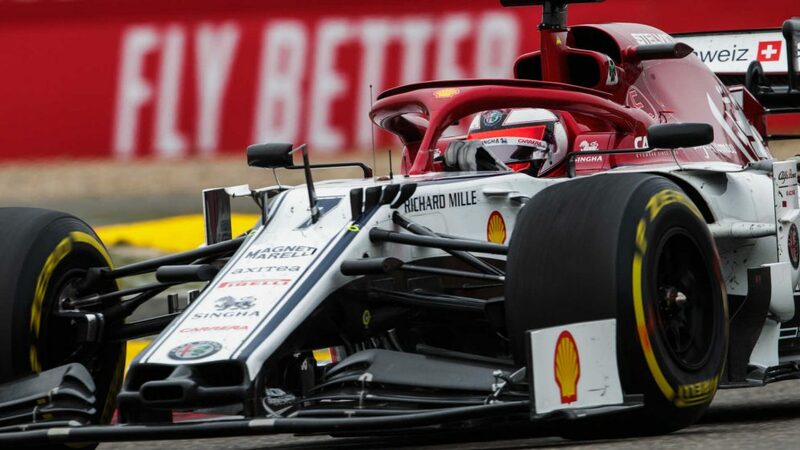 Raikkonen got a slap on the wrist for crossing the white line of the pit entry in practice, but was more composed in qualifying to back up his team mate. Vettel likewise put in a clean final lap but the Scuderia just weren’t quick enough. Starting on the ultrasoft tyres, strategy calls could help decide the outcome tomorrow. “I think that today we correctly worked out the direction to take in terms of tyre strategy and we were able to make it work. Yesterday we had tried everything, but the hypersoft tyres didn’t last for long, so we were quite confident they weren’t the tyres we wanted to start the race on. Today I knew in my second run I had some lap time to gain and I wanted to start on the ultrasofts, so that’s why I was happy to take the risk and do my second run in Q2 on the same compound. "In general, I’ve been happy with our session. For tomorrow I would have liked to start from the front row, but our main rivals probably had saved some performance cushion for the last run in Q3. As I told the guys in the garage, in the race we will fight as much as we can; then anything might happen. Today we had good speed on the straights, but I guess we were lacking a little bit of downforce in the last sector, so let’s see what we can do. For sure, it is going to be a long race”. "It was a solid qualifying session and I think there was nothing wrong with the car today, nothing to complain about. 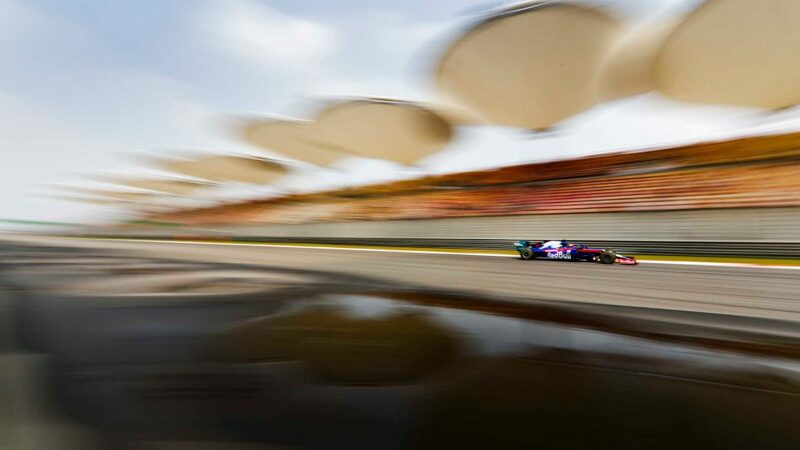 In fact, it worked pretty well, we were only lacking a bit of speed especially in sector 3; that’s where we were losing the most and it has been like that for all the week end. Our competitors were probably playing around a bit in the first part of the session, then in the end the margin was bigger. As for tomorrow, I can only say that we are going to do our best. We will start the race on the ultrasoft tyres, which is the choice all the top teams have made. 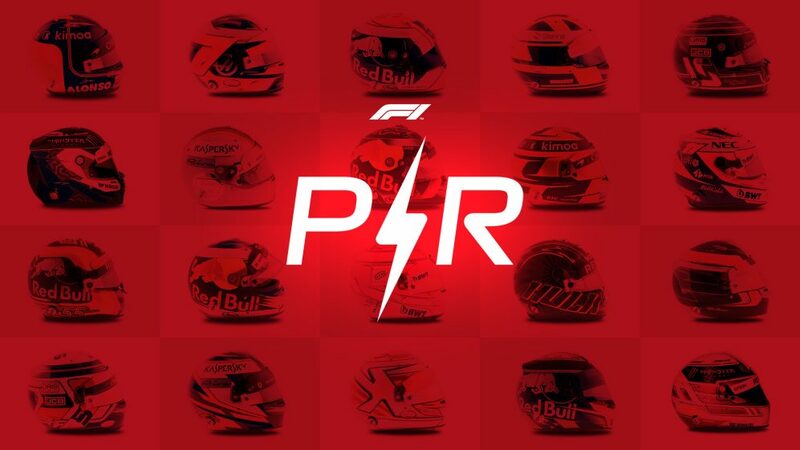 We hadn’t tested that kind of compound before today, and in terms of race pace, we have some figures from Friday’s long runs, but practice is another story from the race itself and usually, on Sunday, the gaps close up a little bit." Sebastian Vettel, Ferrari SF71H celebrates in Parc Ferme at Formula One World Championship, Rd21, Abu Dhabi Grand Prix, Qualifying, Yas Marina Circuit, Abu Dhabi, UAE, Saturday 24 November 2018. Kimi Raikkonen, Ferrari SF71H at Formula One World Championship, Rd21, Abu Dhabi Grand Prix, Qualifying, Yas Marina Circuit, Abu Dhabi, UAE, Saturday 24 November 2018. 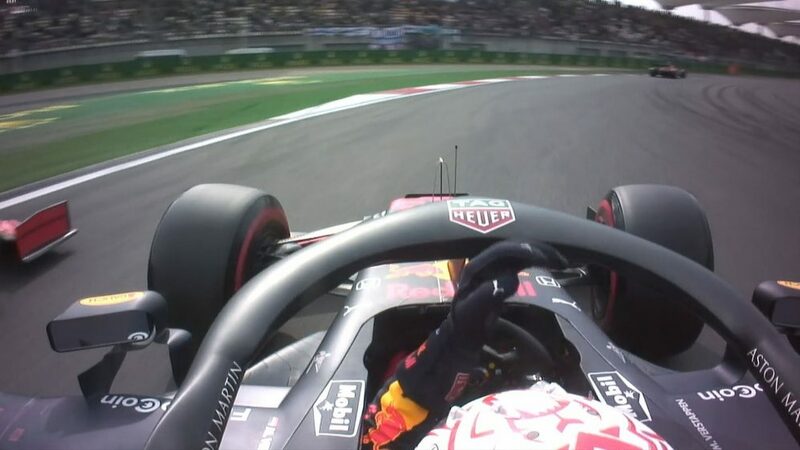 Red Bull dropped off the pace today, with Verstappen in particular disconsolate with a poor lap in Q3, turning the airwaves blue in his frustration. The Dutchman had a session to forget in general, as he was slow on his ultrasoft lap in Q2 and forced to use the hypersofts. Thus he is the only driver in the top six to start on the pink-marked tyres. Ricciardo qualified fifth but did not have a smooth day after pulling over trackside in final practice with more reliability issues. Can the Australian make the chequered flag in his final race for Red Bull? Max Verstappen, Red Bull Racing in Parc Ferme at Formula One World Championship, Rd21, Abu Dhabi Grand Prix, Qualifying, Yas Marina Circuit, Abu Dhabi, UAE, Saturday 24 November 2018. Daniel Ricciardo, Red Bull Racing RB14 at Formula One World Championship, Rd21, Abu Dhabi Grand Prix, Qualifying, Yas Marina Circuit, Abu Dhabi, UAE, Saturday 24 November 2018. With the season poised at 10-all in qualifying results, which Haas driver would sneak ahead? The answer was Grosjean, who delivered a stormer of a lap to grab 'best of the rest'. Magnussen didn’t have a smooth session, losing some bodywork from his VF-18 before suffering a water pressure issue and dropping out in Q2. With free tyre choice, the Dane could still score points tomorrow. Romain Grosjean, Haas F1 Team taks a selfie with a fan at Formula One World Championship, Rd21, Abu Dhabi Grand Prix, Qualifying, Yas Marina Circuit, Abu Dhabi, UAE, Saturday 24 November 2018. Kevin Magnussen, Haas F1 Team VF-18 at Formula One World Championship, Rd21, Abu Dhabi Grand Prix, Qualifying, Yas Marina Circuit, Abu Dhabi, UAE, Saturday 24 November 2018. Ocon had power issues in FP3 and missed much of the session, but looked back to his best in qualifying and made it all the way to Q3 in his final race for Force India. 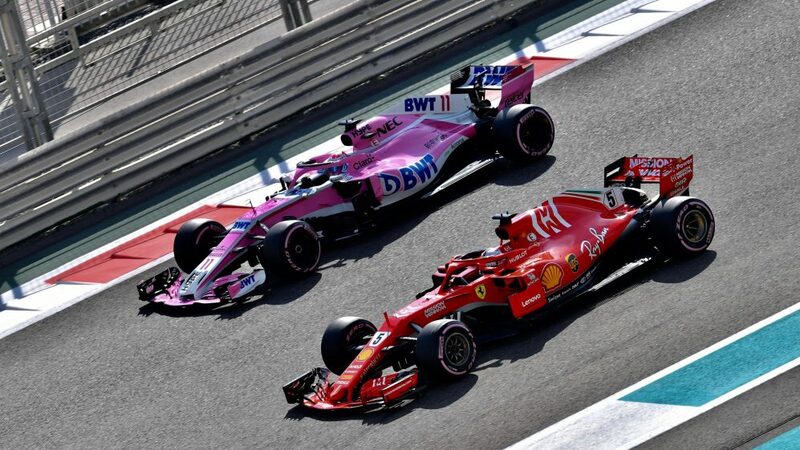 Perez tried to scrape through Q2 on the ultrasoft rubber but even once he fitted the hypersofts, the Mexican lacked pace to record a worst-ever qualifying in Yas Marina of P14. Esteban Ocon, Racing Point Force India VJM11 at Formula One World Championship, Rd21, Abu Dhabi Grand Prix, Qualifying, Yas Marina Circuit, Abu Dhabi, UAE, Saturday 24 November 2018. Sergio Perez, Racing Point Force India VJM11 at Formula One World Championship, Rd21, Abu Dhabi Grand Prix, Qualifying, Yas Marina Circuit, Abu Dhabi, UAE, Saturday 24 November 2018. "We were pleased to get Nico into Q3 but not particularly happy with the way the car behaved in that last session as we didn’t seem to get the lap time improvement that we expected. Carlos just missed out on the top ten but if there is any silver lining, he has a free tyre choice. However we are well-placed with both cars and where we need to be to achieve our aims in the race tomorrow. "We are taking a very low risk approach to the weekend as a whole as fourth place is all but secured. All the same we need to make sure we are in the running in case anything happens in the race. It looks like it will be a fairly straightforward race, but we will keep focussed until the very end." Nico Hulkenberg, Renault Sport F1 Team R.S. 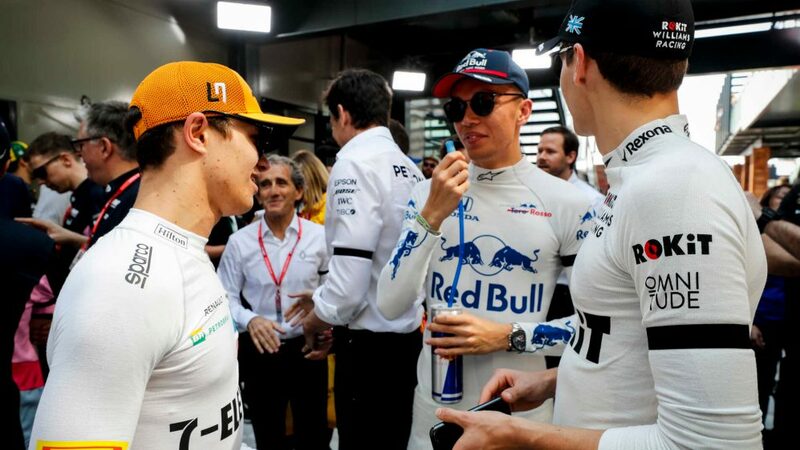 18 at Formula One World Championship, Rd21, Abu Dhabi Grand Prix, Qualifying, Yas Marina Circuit, Abu Dhabi, UAE, Saturday 24 November 2018. Carlos Sainz, Renault Sport F1 Team at Formula One World Championship, Rd21, Abu Dhabi Grand Prix, Qualifying, Yas Marina Circuit, Abu Dhabi, UAE, Saturday 24 November 2018. Sauber initially seemed off the pace on Saturday, not helped by Leclerc having a clumsy crash in final practice and losing plenty of running, along with his rear wing. 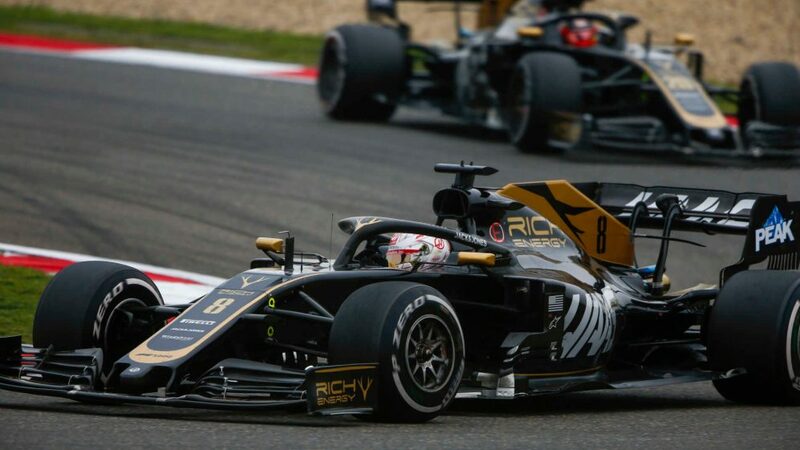 But as the temperatures cooled, the C37 came to life, with Leclerc impressing again in making Q3 for the fourth consecutive race, while Ericsson narrowly missed out in his final race for the team. Charles Leclerc, Alfa Romeo Sauber C37 crashes in FP3 at Formula One World Championship, Rd21, Abu Dhabi Grand Prix, Qualifying, Yas Marina Circuit, Abu Dhabi, UAE, Saturday 24 November 2018. Marcus Ericsson, Alfa Romeo Sauber C37 at Formula One World Championship, Rd21, Abu Dhabi Grand Prix, Qualifying, Yas Marina Circuit, Abu Dhabi, UAE, Saturday 24 November 2018. Alonso’s final qualifying for McLaren at least saw the Spaniard make Q2 helped by a “magic” lap, but he could go no further. 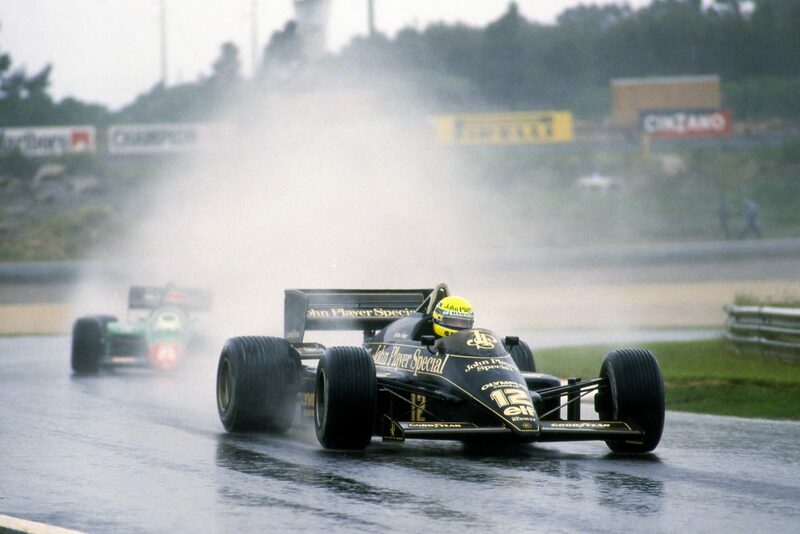 He out-qualified his team mate for the 26th straight race, and recorded a season whitewash to boot. 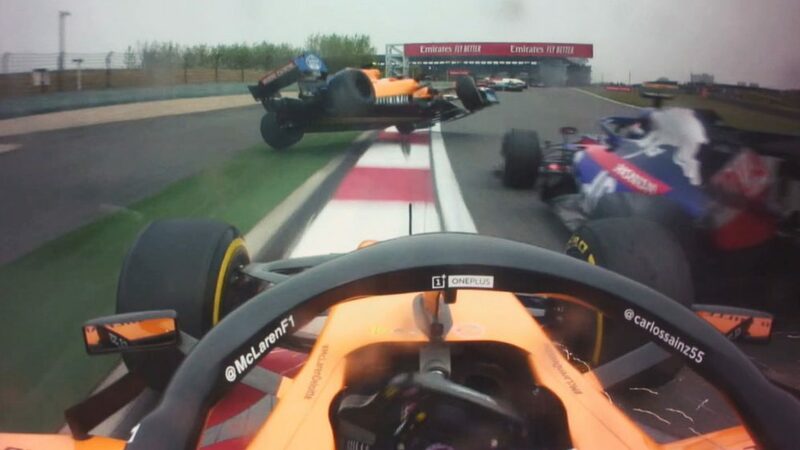 It has been a miserable run of qualifying sessions for the Belgian, with Vandoorne exiting in Q1 for the 14th consecutive race. “We weren’t optimistic at all about our chances of making it into Q2, as we haven’t been too competitive in any of the sessions so far this weekend, so it was a nice surprise. I was pushing quite hard on that qualifying lap – it felt good. “We start five positions away from the points tomorrow and hopefully we can benefit from some action in front of us. On pure pace we’re maybe not in the top 10, but who knows tomorrow. “Today was a bit better than yesterday. It was my final qualifying of the year and it was all about having fun and enjoying it as much as I could. I know we’ve not been in shape all season really, so we did the best we could. Tomorrow, we’re going to try and make the most of it, have a good start and a good opening lap, and then see what happens. “It’s never easy to go from FP3 into qualifying where the track temperature is so different. I think it’s actually a nice feeling to go that way as you gain a lot of performance, but it’s the same for everyone. “I had a lot of fun out there today and tomorrow I’m going to enjoy it as much as I can too. I’ve had a good couple of races lately and I hope that continues and I can finish the season on a high – that’s what matters. “Given our qualifying pace this year, coupled with the ever-changing track conditions from session to session here in Abu Dhabi, it was always going to be particularly difficult to predict where we would end up today. “Stoffel had a clean run in Q1, and although he made progress on each of his three flying laps, it wasn’t quite enough to make it into Q2. “Thanks to a bit of magic from Fernando, who was able to put a flawless lap together on his final run, we progressed through to Q2. “Unquestionably, whatever happens tomorrow, it will be an emotional day for all of us, as it marks the end of a challenging year for the team. We say farewell and thank you to Fernando and Stoffel, as well as commemorate the end of a chapter in the legendary career of our double world champion. Fernando Alonso, McLaren MCL33 at Formula One World Championship, Rd21, Abu Dhabi Grand Prix, Qualifying, Yas Marina Circuit, Abu Dhabi, UAE, Saturday 24 November 2018. Stoffel Vandoorne, McLaren at Formula One World Championship, Rd21, Abu Dhabi Grand Prix, Qualifying, Yas Marina Circuit, Abu Dhabi, UAE, Saturday 24 November 2018. 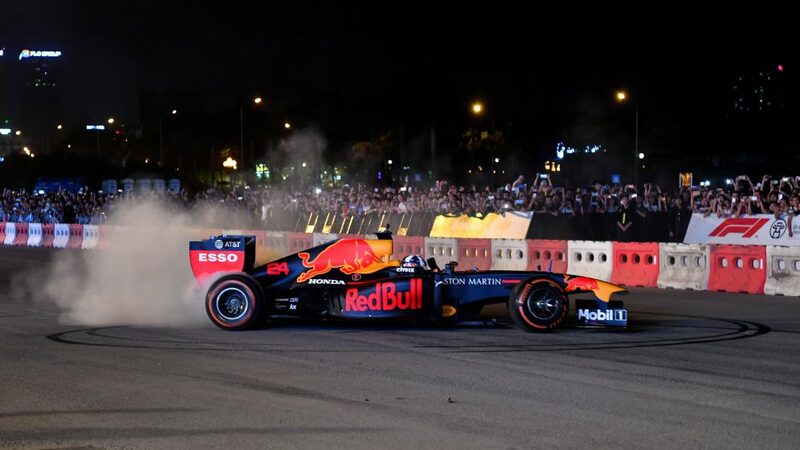 Gasly looked on the fringes of the top 10 but suffered a loss of power on his final flying lap to exit in Q1 in ignominious circumstances, with his Toro Rosso bellowing smoke trackside. Hartley, therefore, out-qualified his team mate but also missed out on Q2 by 0.060s. The Kiwi driver needs to impress this weekend to stand any chance of keeping his seat next year, but it will be a struggle starting so low on the grid. “Brendon had a pretty smooth FP3 session, although it was a bit more complicated on the other side of the garage. Pierre had to back off his first run due to an electrical issue on the PU side, which was fixed very quickly, and then got hit by Grosjean in the exit of Turn 16, which forced him to abort his last timed lap. Pierre Gasly, Toro Rosso STR13 stops on track in Q1 at Formula One World Championship, Rd21, Abu Dhabi Grand Prix, Qualifying, Yas Marina Circuit, Abu Dhabi, UAE, Saturday 24 November 2018. Pierre Gasly, Scuderia Toro Rosso and Brendon Hartley, Scuderia Toro Rosso at Formula One World Championship, Rd21, Abu Dhabi Grand Prix, Qualifying, Yas Marina Circuit, Abu Dhabi, UAE, Saturday 24 November 2018. "It was very tough. The lap took a lot more from me than it probably seemed from the outside. The weekend so far has been the worst of the year for me the way it was going, with the struggles I had and the amount of work we had to put in. I didn’t have any confidence going into qualifying, but I was really hard on myself and really motivated because I wanted to finish on a high. It took a lot from me physically and mentally to come back and perform at the top level. It hasn’t been an ideal weekend, but I am happy and it is a little victory to recover like this. Thanks to the guys for supporting me all season long and especially to those who today were trying to understand what was going on and then make the best possible car for qualifying." "That was not very good. I am pretty frustrated with it to be honest. I thought there would have been much more, but we were just pretty slow, and the car was a lot different from how it has been all weekend, so I was a bit caught off guard by that. I think we had a decent balance all weekend and now that has changed. I don't know what happened, but I felt the car was very much on the understeer side. It has been kind of oversteer all weekend and now the balance shift is massive and I feel a bit frustrated, so that was the story of qualifying." "Sergey had a pretty difficult practice and wasn’t comfortable in the car, but by the time it got to qualifying he delivered all that the car was capable of delivering. Lance brought to a close a difficult season from a qualifying point of view. However, having two cars at the back of the grid provides plenty of motivation for us to work extremely hard over the winter in order to move ourselves forward for the 2019 season." Lance Stroll, Williams FW41 at Formula One World Championship, Rd21, Abu Dhabi Grand Prix, Qualifying, Yas Marina Circuit, Abu Dhabi, UAE, Saturday 24 November 2018. Sergey Sirotkin, Williams FW41 at Formula One World Championship, Rd21, Abu Dhabi Grand Prix, Qualifying, Yas Marina Circuit, Abu Dhabi, UAE, Saturday 24 November 2018.